This is probably one of my favorite shots that I took during my last trip to the island of Palawan. The tranquil waters of the swamps leading to the river that opens up to the bountiful part of the sea mirrors the clearest and bluest skies. 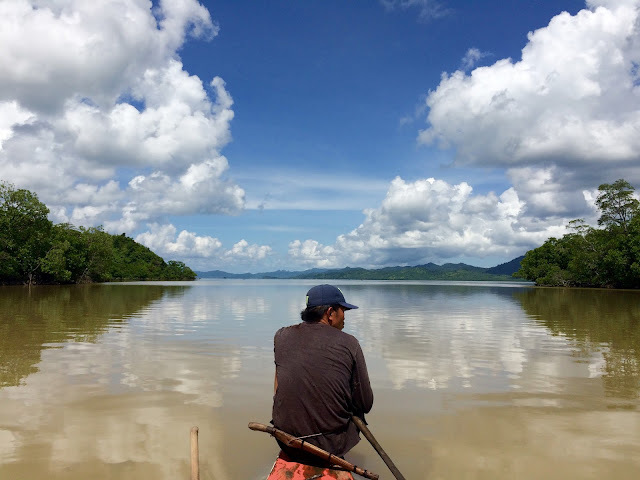 This part of the waters lead up to the Malampaya Sound where Irrawaddy Dolphins swim and thrive together with a diverse marine life. We did a lot of Fishing on that beautiful sunny day and grilled our freshest catch that afternoon.